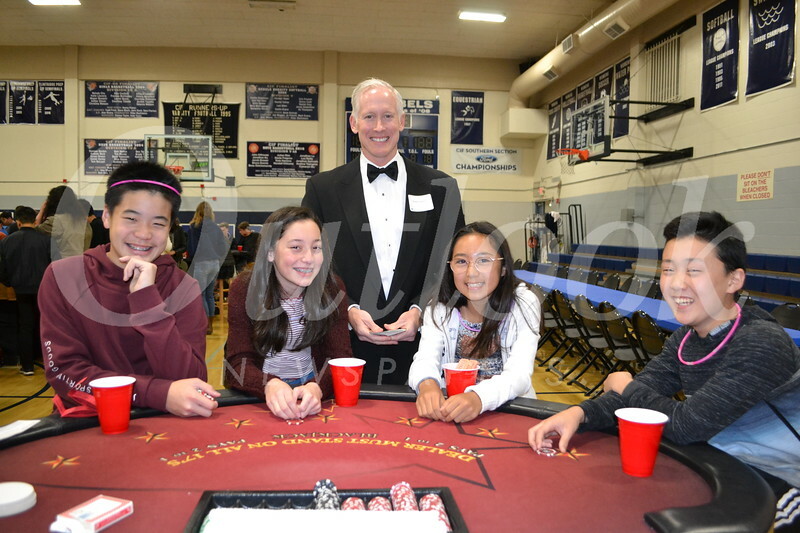 Flintridge Prep’s recent Casino Night was an evening of fun for students. Prep fathers acted as casino operators, dressed in their finest tuxes, while the students enjoyed a range of games, from black jack to poker. As students won at games, they earned tickets, which were put into various raffle drawings. Everyone enjoyed Mexican fare. This memorable evening was sponsored by the Flintridge Prep Fathers Club.